The winter conditions are quickly settling in here in Vancouver, if you’ve noticed any troubles with your heating system, it might be time to replace your system. Many homeowners are hesitant to replace their entire heating system because it’s a time-consuming and expensive process, but we can assure you that if it’s really time to replace then it’s more than worthwhile to do so. Our team here is helpful, to we can guide you through the process and set you up with the best financing available to make this possible. We have the best heating services in Vancouver, WA so if you want quality services that you know you can count, contact our team. Many homeowners are unsure of what the telltale warning signs of system replacement are, so we’ve compiled a list of the top signs. 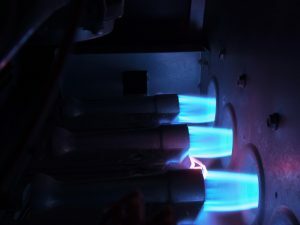 Is your heating system between the age of 10 and 15? If so, then it’s time for you to transition from a repair mindset to a replacement mindset. Your heating system is only meant to last you so long. If you try to push your system past its prime, then you’re doing yourself a disservice. We often see homeowners push their system on for far longer than a decade because they think that dealing with their current unit is cheaper than buying a new one, but the problems that an old unit brings add up and it’s wiser to shift your focus and monetary savings to a system replacement in the near future. Do you have a constant need for repair? You shouldn’t need repair services more than once every few years. If you need to repair your system more than this and it’s in the age range mentioned above, you’re going to need a new system. It’s a much more cost-effective and energy efficient option. Have you turned to your heating system in our Vancouver winter weather and noticed that your home isn’t ever as warm as you’d like it to be? You’re probably suffering from an ineffective heating system. If you have your system regularly maintained and still notice that your heating services are lackluster then it’s probably a sign that you need to replace your unit. Take a look at your recent heating bills and compare them to heating bills from this time last year. Is there a noticeable increase in price? If there is and you haven’t run your heater more often then it’s time for a new heating system. You have a problem with inefficient heating. If you’ve tried repairs to no avail, then you should shift your focus to upgrading your system instead. We know how daunting the idea of replacing your entire heating system may be. You might question what the best brand available is or what unit is right for your home. Our team here at Area Heating & Cooling, Inc. can help you make these decisions so that your home stays comfortable all winter long. If you need the best heating services in the area, contact Area Heating & Cooling, Inc.